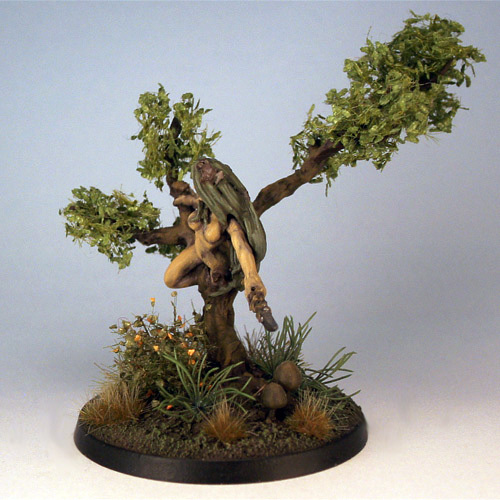 The basis for this mini was a small tree with a dryad from Reaper Miniatures. The mini has been lying around for years and this was a perfect way to get her painted and create some new terrain along the way. 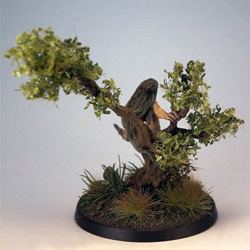 The original tree was enlarged with some new branches and decorated with MiniNatur foilage. The Dryad was sculped by Werner Klocke.